If your name is on the list, remember you have a chance at winning one of the prizes below during the Big Game on Sunday, February 3rd! 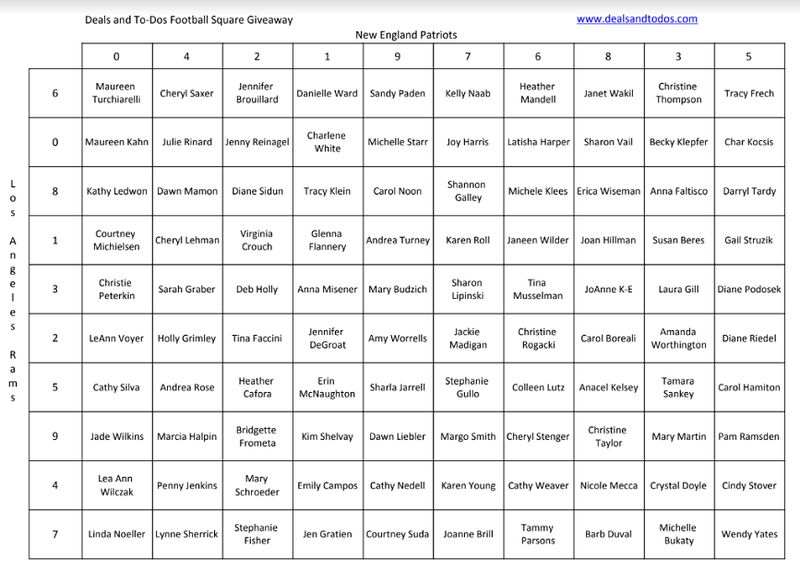 CLICK HERE to print the football squares game. Note, in the event of a tie the giveaway will end with whatever the 4th quarter score is. There will be no prize for the overtime score. For information on how football squares work, please click here. I have purchased all prizes for the sole purpose of this giveaway. By entering you agree that your first and last name can be posted on the finalized grid, to be posted on the blog. No other information will be shared.